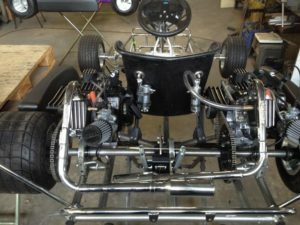 Small engines that dont have a gravity feed carburetor need a fuel pump to pump fuel from the fuel tank to the carburetor. On most small engines this is done by a pulse or vacuum operated fuel pump. A vacuum operated pulse pump this is a mikuni brand. 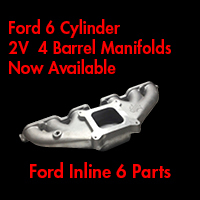 These are a sealed unit and can not be serviced or pulled apart as they are a seal unit. 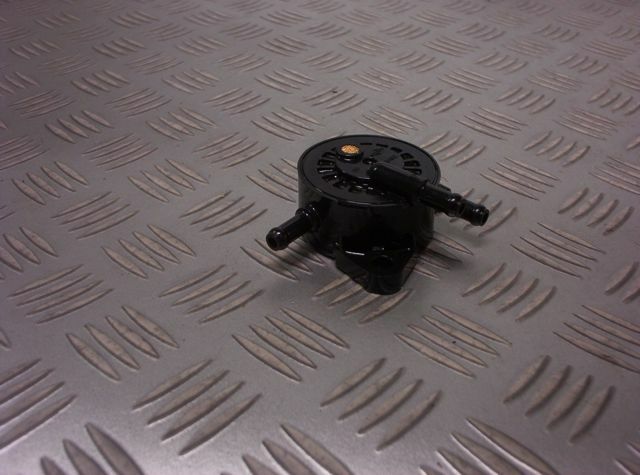 The mikuni pump we have found to be very reliable. This Briggs & Stratton Animal engine shows the fuel pump mounted to the top of the engine block. There are 3 fittings on the fuel pump, The first fitting is fuel in to the fuel pump, the 2nd is fuel out and the third is the pulse or vacuum line. 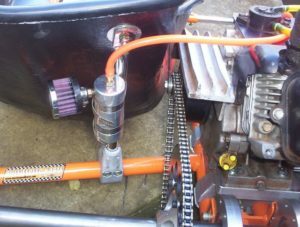 The vacuum source on this engine as it is fitted with an Aussiespeed AS0206 curved manifold and has a pad that can be drilled and a fitting inserted for a vacuum take of that as the intake charge enters the cylinder head port it creates a vacuum and lifts the diaphragm in the fuel pump. This is one of the preferred method of running your fuel pump. The Subaru KX21 has a fitting in the insulator mounted between the cylinder head and carburetor. This supply’s a reasonable clean vacuum take of to run the fuel pump. This is not the recommended way of connecting the breather hose from the rocker cover. The hose should not fit inside the hose as it reduces the diameter for the vent pipe. We recommend using a larger hose to go over the hose from the rocker cover, on a Subaru, Clone or Honda the breather is fed back into the air cleaner housing. It is always better to mount the breather high in the rocker cover when adding additional fittings to vent the engine. Note how high the breather position is on the right rocker cover, also the 12mm hose used is the correct size from our tests. You may notice in the can will be a liquid when the engine cools down that is the color of engine oil but the consistency of water. Although its not proven we believe it to be oil mist mixed with petrol. It is a very thin liquid that also smells like fuel.